Illinois Rep. Cheri Bustos says she knows, from first-hand experience prevailing in a Trump district, how the party can protect its newly won majority in the 2020 elections. Bustos, the only midwesterner in party leadership, is one of four candidates for election on Wednesday to chair the Democratic campaign committee. 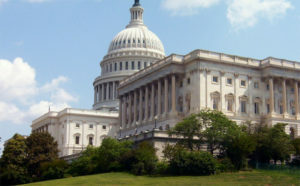 House and Senate negotiators are considering whether to expand farm subsidies and make cousins, nieces and nephews of farmers eligible for up to $125,000 a year in crop supports, said a handful of budget hawks, environmentalists and small-farm advocates on Monday. The Senate is expected to vote Tuesday on the nomination of Stephen Vaden, a member of the Trump administration since early 2017, to be USDA general counsel. He won a procedural test vote Monday. Trade war bailout a pittance for some (Des Moines Register): About 100 of the 4,300 trade-war bailout payments paid to Iowa farmers amount to less than $25, says the Environmental Working Group. Dairy state loses hundreds of dairy farms (Journal Sentinel): Wisconsin has just half as many dairy farms today as it did in 2004; meanwhile, the number of cows in the state has risen, suggesting the remaining farms are much larger than they once were. Farm bankruptcies rise (Star Tribune): More than twice as many farms filed for bankruptcy in the Upper Midwest in the 12 months that ended in June than during the same period in 2013 and 2014. Romaine lettuce gets point-of-origin labels (Politico): In the wake of food-borne illnesses blamed on romaine lettuce, produce distributors agreed to put the region and date of harvest on romaine labels in hopes the government will lift its warning to consumers against eating the lettuce. Perdue protégé for top Trump aide? (Atlanta Journal-Constitution): Political operative Nick Ayers, “who cut his teeth” working for the former Georgia governor and current Agriculture Secretary Sonny Perdue, has re-surfaced as a possible successor to White House Chief of Staff John Kelly. Horns or not, it’s okay in Switzerland (Reuters): Swiss voters strongly rejected an animal-welfare referendum to pay farmers an annual subsidy equal to $192 a year if they did not de-horn their cows and goats. Tagged dairy, farm bill, house, Romaine Lettuce, subsidy, Switzerland, trade war bailout, USDA.